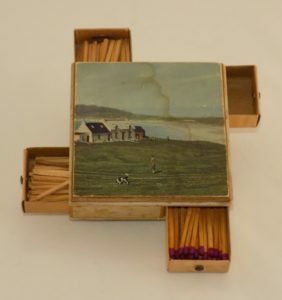 Handmade wooden box with four matchbox drawers with paper clip handles, attached beneath a coaster showing a colour picture of Travee from Balephuil. Probably made in the 1970s. 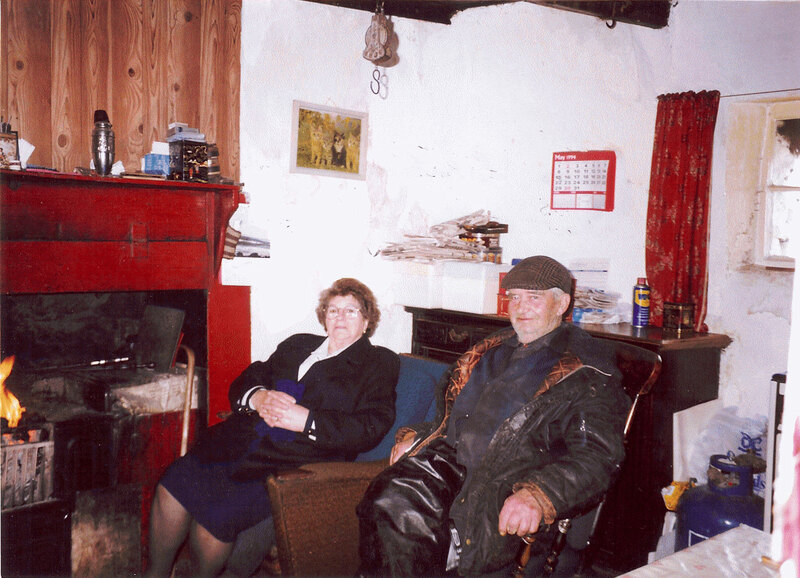 Found during a house clearance when Iain & Helen Paterson sold their house `Taigh bean Iain/Nona Tuaigs` at Caoles, ca. 2011. Colour photograph of Calum (Iain Bhan) MacKinnon, Kilmoluaig and Cathie Gunn sitting in front of the fire in Calum`s house during the 1980s. Calum`s house was the last without electricity on the island – he never wanted it. Factsheet about Tiree`s community wind turbine “Tilley” giving the background to the project, its costs, output, comparison with other island wind turbines, electricity and income, future, tiree windfall fund, personnel involved and acknowledgements. Booklet containing details of Enercon`s various wind turbine products. Includes the E-44 model that was erected in 2009 at Ruaig for the Tiree Community Wind Turbine Project. Letter in The Scots Magazine, Dec. 2009, from “Barrow Boy” Peter MacLeod (b. 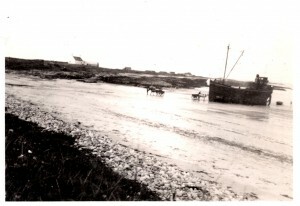 1933) about his childhood on Tiree ca 1936. Photocopy of a page from The Scots Magazine, Dec. 2009, showing a black & white photograph of a very young Peter MacLeod with his wooden wheel-barrow in Ruaig School playground ca 1935/36, and his letter to the magazine in 2009. 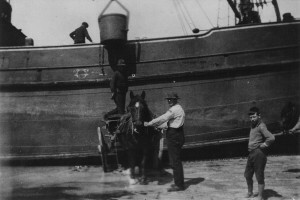 The letter tells of the coal puffers beached at Gott Bay and collecting cow-pats in summer for fuel. Peter was the son of the Head Teacher at Ruaig School and was born on Tiree – he classed himself as a Tiree man and spoke Gaelic. He became the Manager of the Royal Bank of Scotland in Argyll Square, Oban. Now retired. Information about petrol outlets on Tiree in the 20th century. 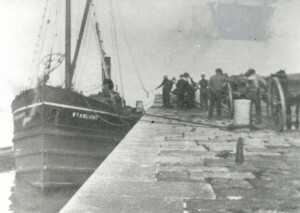 Information about petrol outlets on Tiree in the 20th century gathered from Angus MacLean, Alasdair Sinclair, Lachie MacArthur, Iain Macleod and Alasdair MacArthur. Piece of peat from the Ross of Mull. Piece of peat from Blar nan Tirisdich, peat cuttings on the Ross of Mull.